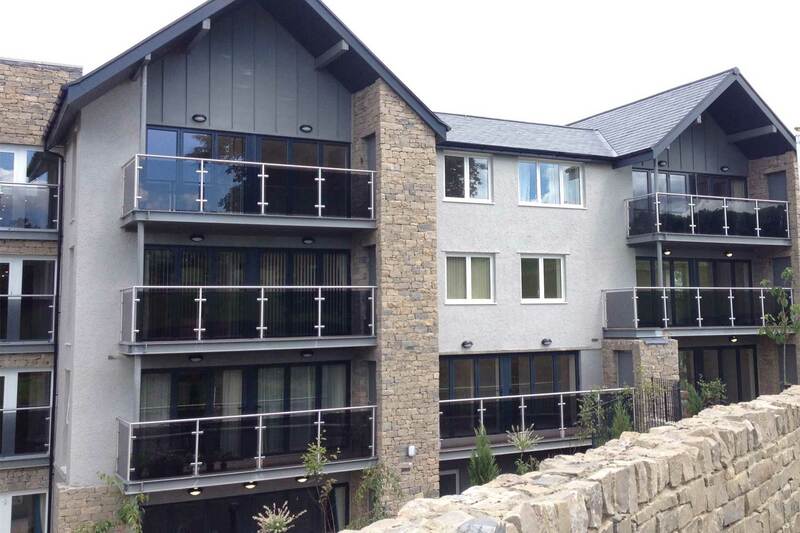 Our Clearview walk-on balconies can be supplied as all-in-one solutions, providing fast installation, stylish contemporary looks and maintenance-free durability. All products come with our Lifetime Guarantee. 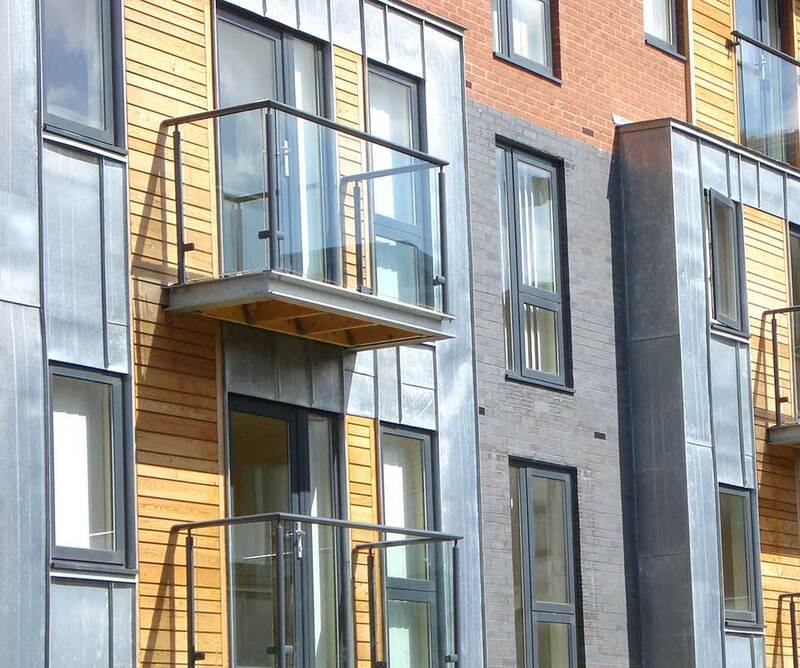 Designed to meet the most rigorous performance demands, the modular components of these fully recyclable balconies are precision-manufactured off-site and assembled on-site with no welding or hot works required. Rails and stanchions are manufactured from satin polished Grade 316 stainless steel or nylon powder coated aluminium in a wide range of solid or scintillating metallic colours. Tinted or clear toughened glass infills (10mm in thickness) complete the high material and aesthetic quality. The predominance of glass allows occupants to enjoy the benefits of sunlight and warm weather in safety. The standard balcony flooring comprises our attractive yet durable Neatdek aluminium decking which provides a 74% foot contact area yet allows rainwater to drain quickly and effectively to prevent pooling. Alternatively, you could specify our Neatdek 188 decking, an innovative grille design with concealed drainage gaps for complete privacy. 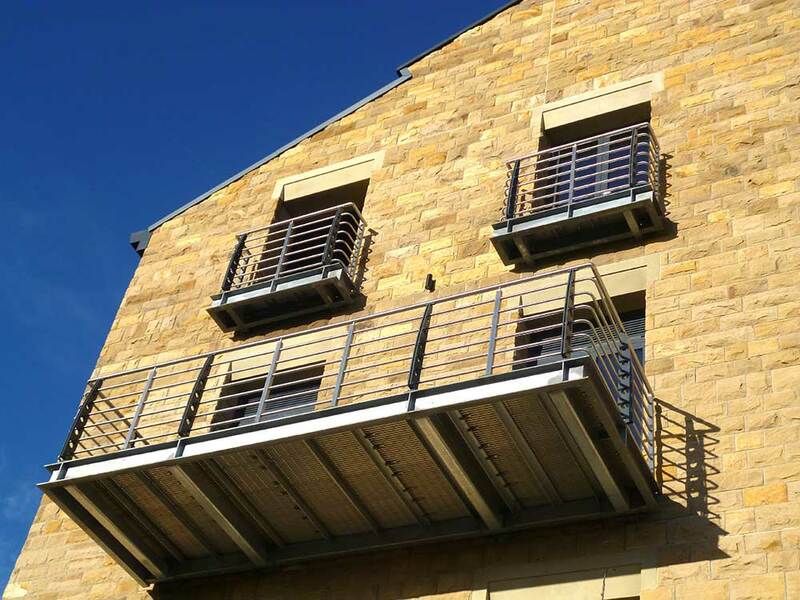 Our most popular balcony specification is glass panels with handrails and balustrade in aluminium, powder coated in a choice of colours for a warm and comfortable touch. 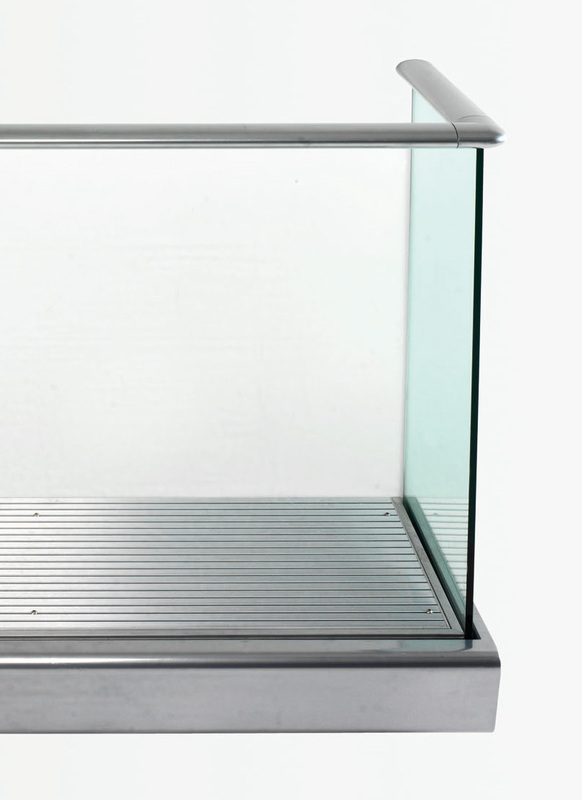 The powder coating provides corrosion-free durability. Balcony decking is supplied in the form of our Neatdek or Neatdek 188 aluminium grilles - please see our Grilles & Decking section for details. 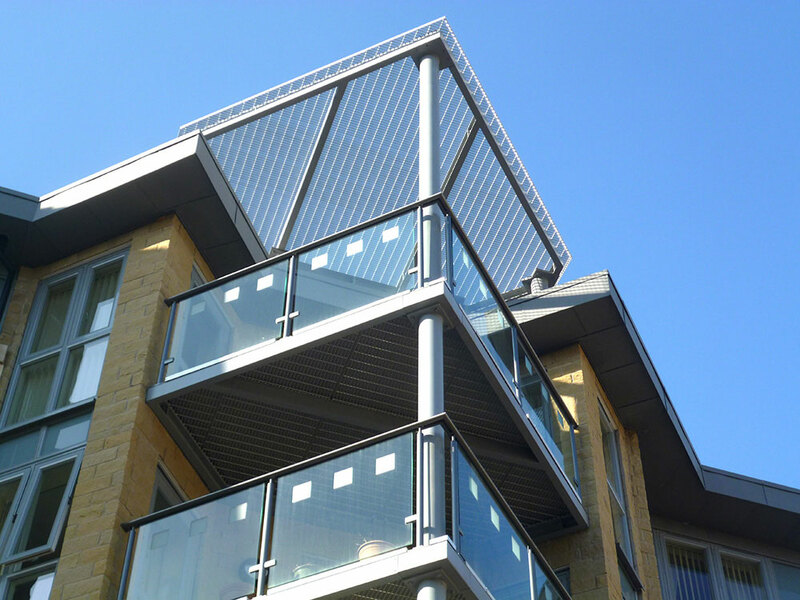 An alternative balcony specification is glass panels with handrails and balustrade satin polished stainless steel. The pictured installation also features bespoke graphics applied to the glass. 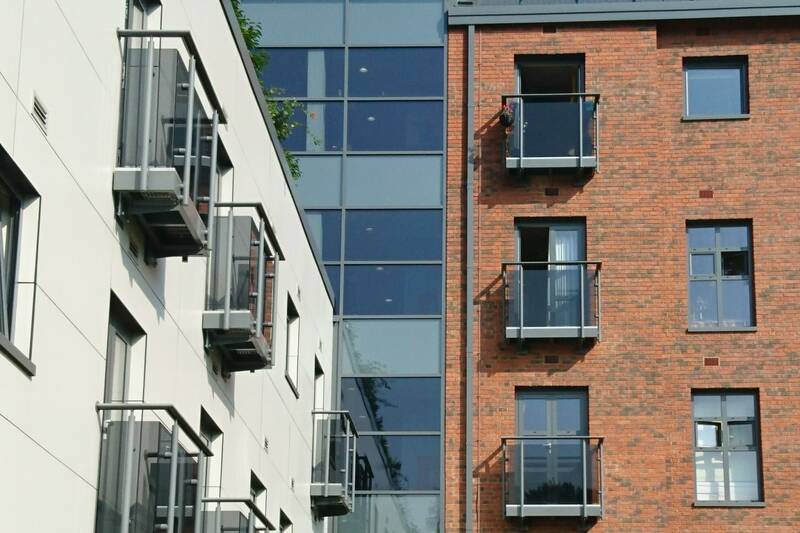 Our structural glass balconies provide the ultimate in visibility, sunlight penetration and minimalist looks. 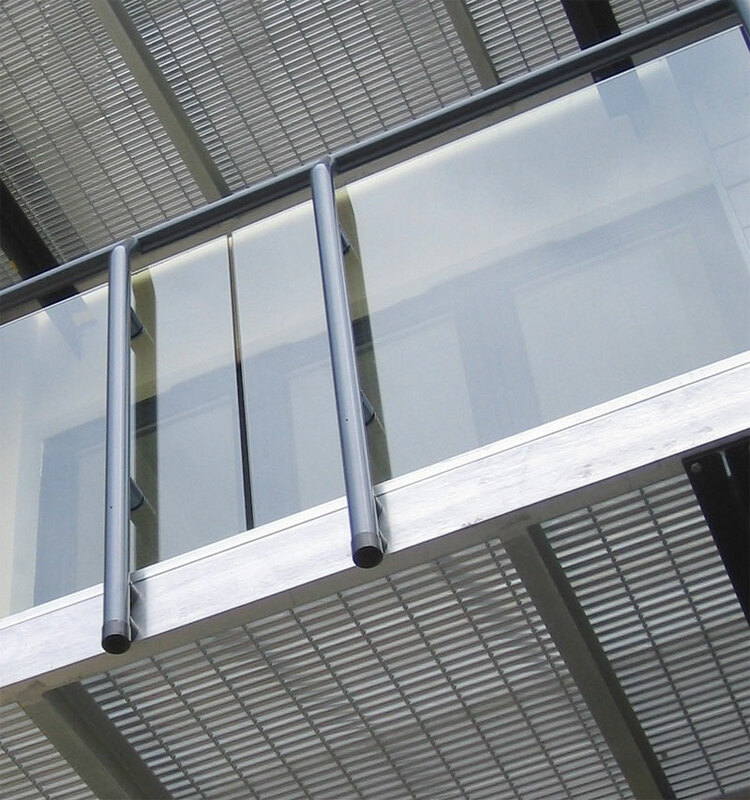 The balcony flooring incorporates a floor channel to secure the glass which is capped by an ovular aluminium toprail, powder coated in a wide choice of colours. 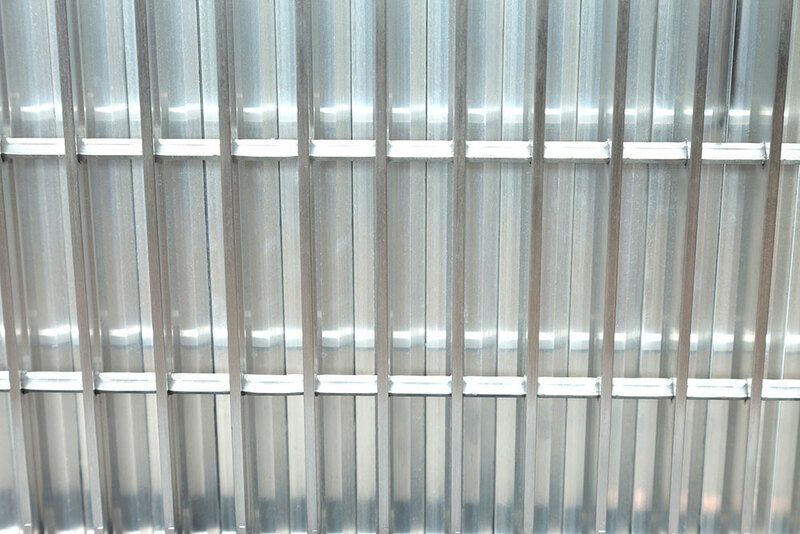 Decking is supplied in the form of our Neatdek or Neatdek 188 aluminium grilles - please see our Grilles & Decking section for details. 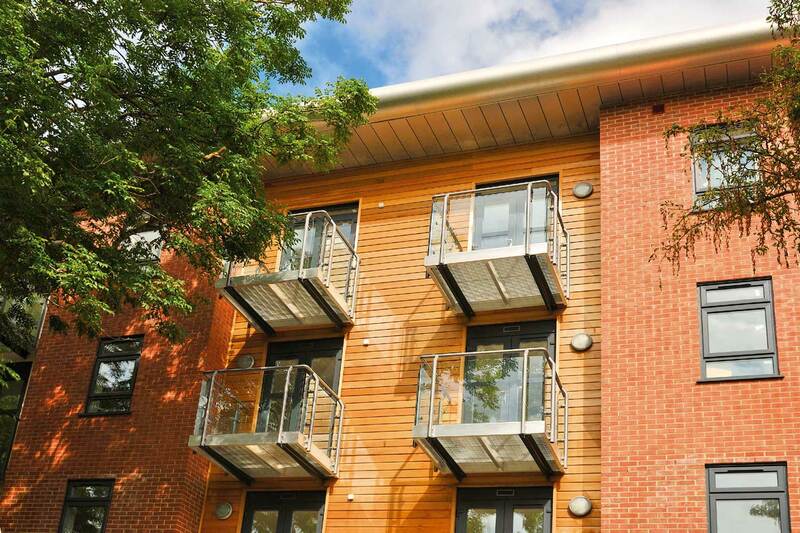 Our Elan semi-structural glass system is available as a balcony option. 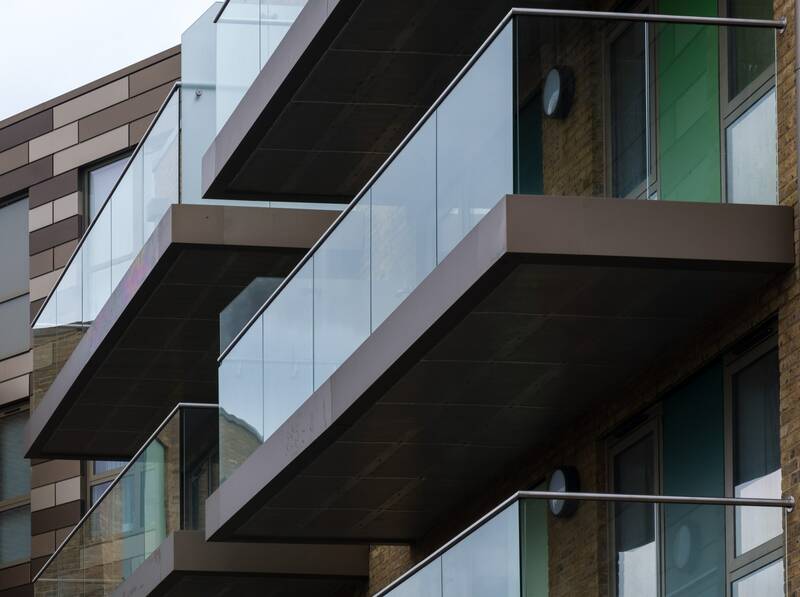 Most of our standard balconies secure glass panels in place by attaching them to the stanchions with a clip, but Elan's glass panels are secured by a top rail above and a subtle floor channel below. The result is a sleek appearance and an economical use of materials. 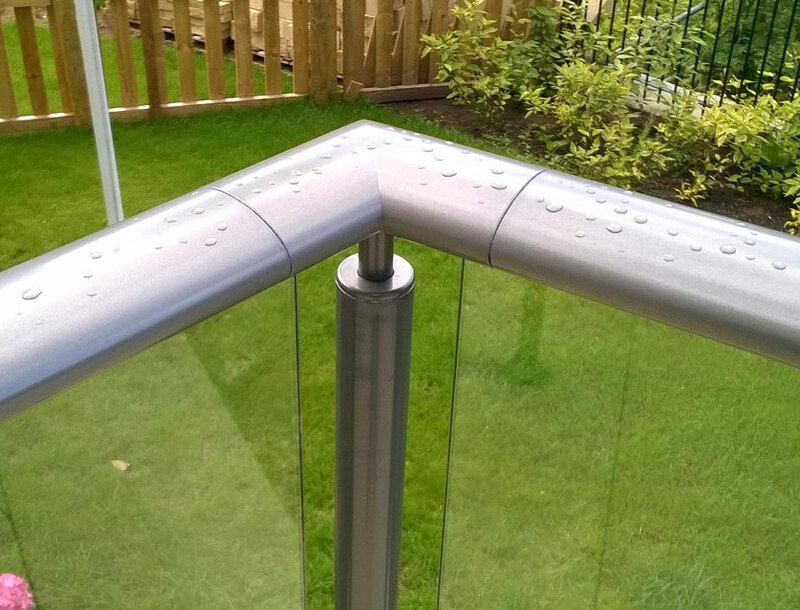 One of our most popular designs incorporates glass inline with stanchions, secured in place with stanchion clips. 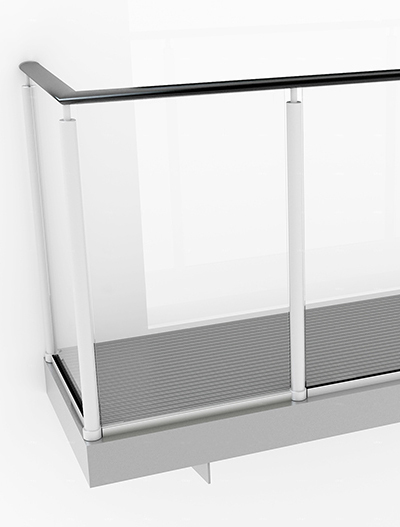 Alternatively, inline glass can also be secured by a top rail above and a subtle floor channel below as part of our Elan semi-structural glass system. 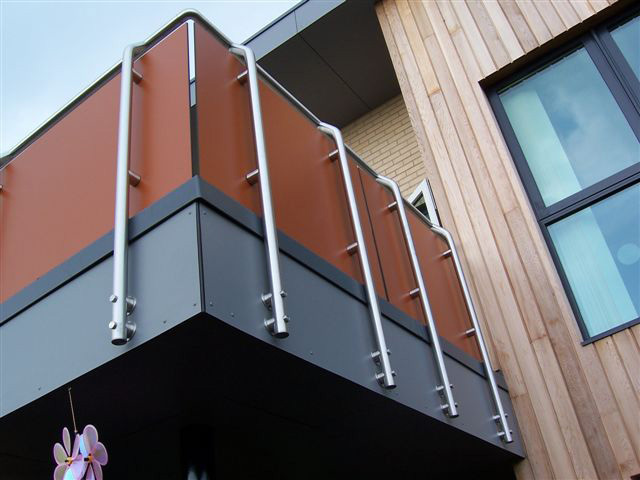 Widely specified at projects throughout the UK, our original modular balcony design features stanchions offset from the glass panels. 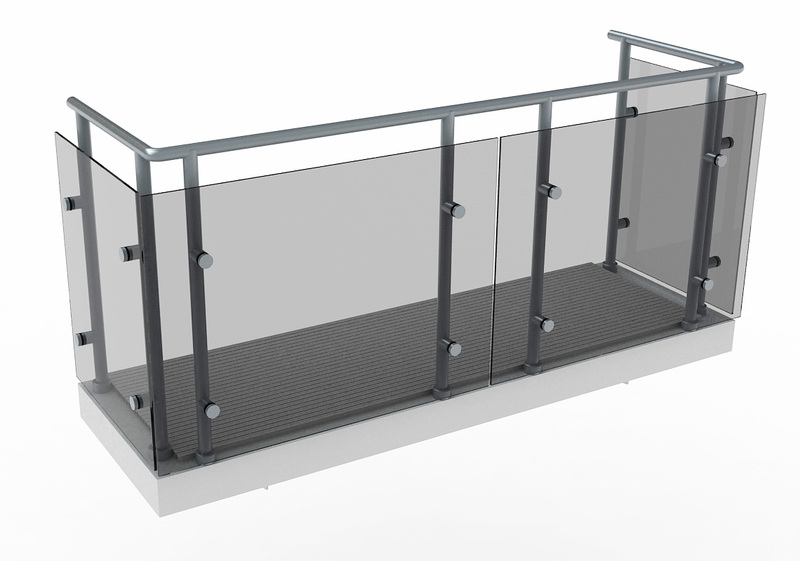 Featuring stanchions offset inside the glass panels, this option is a distinctive variation on our original modular balcony design. 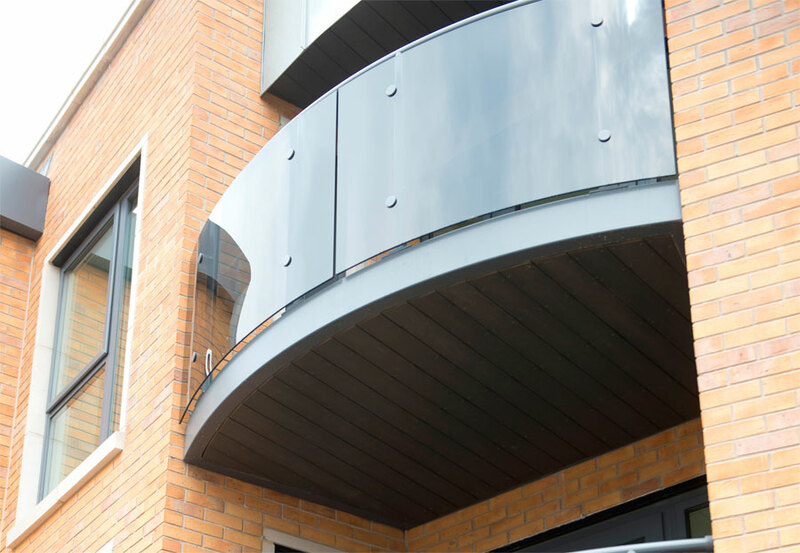 When you need a beautiful high-end aesthetic, our curved glass balconies are a stand-out specification. Panels are offset from the stanchions to provide a smooth, sleek appearance. 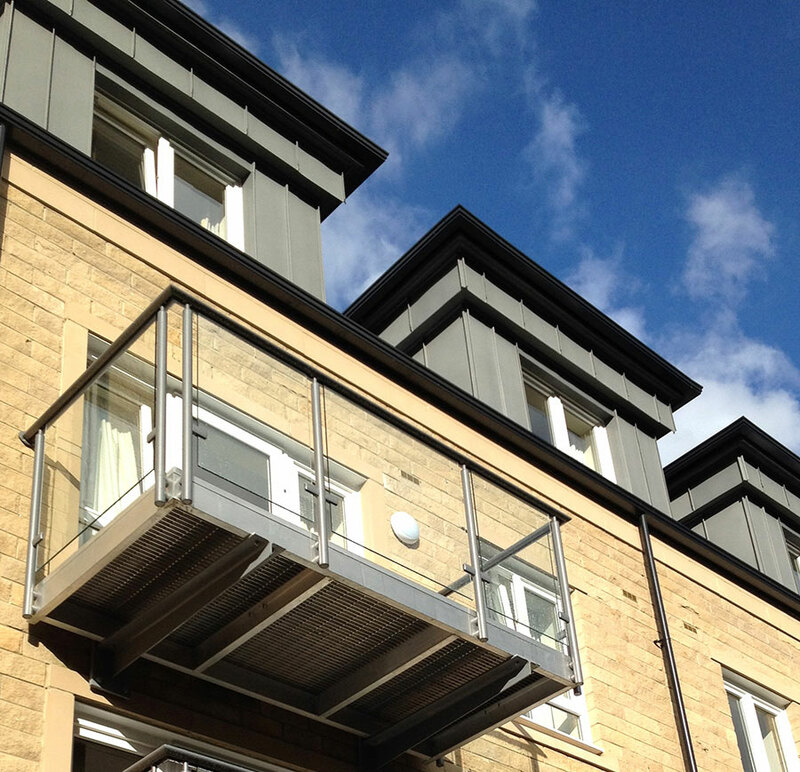 This example was applied across a number of corner balconies at a development in Halifax. 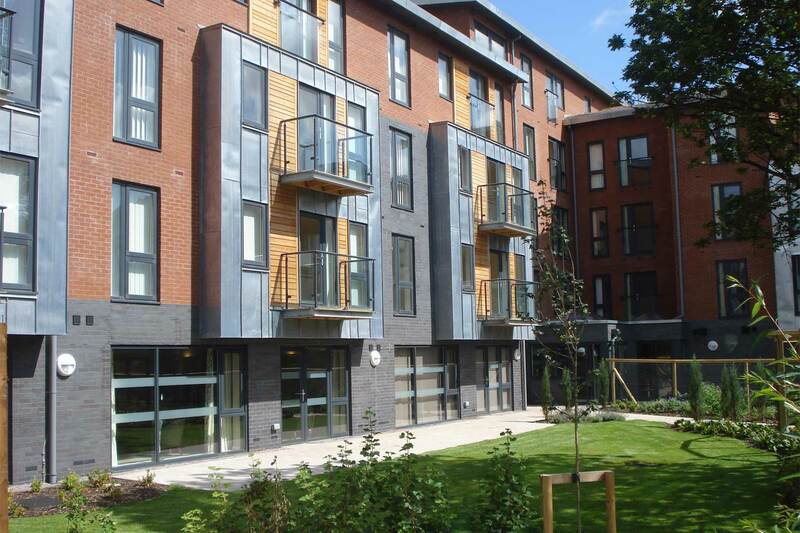 neaco always endeavour to meet individual needs and we have provided numerous bespoke features on balconies over the years. 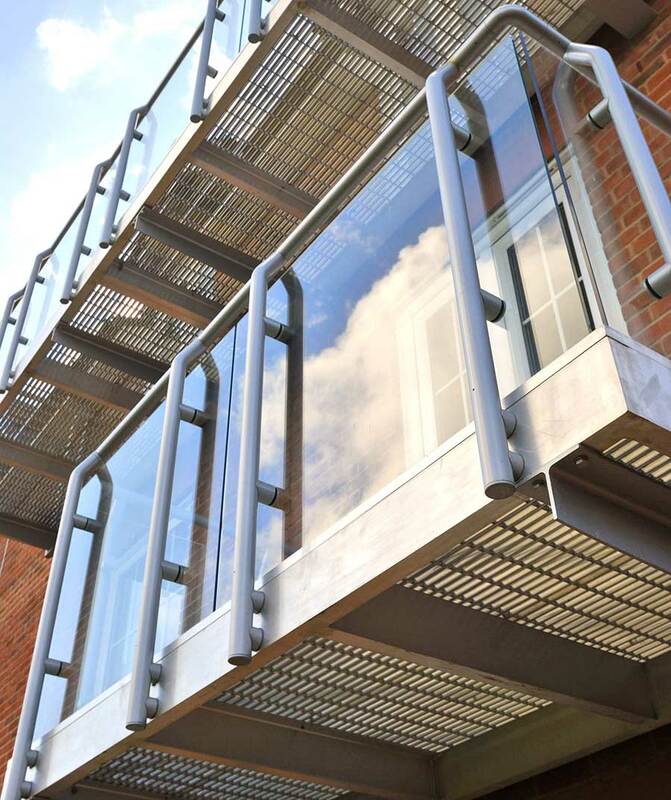 This example is external balcony terrace featuring stainless steel balustrade with a trespa infill as a non-standard specification, requested to provide greater privacy. Most of our balcony designs are characterised by a predominance of glass, but we also offer railed infills as an alternative aesthetic. This example also features tapered stanchions. 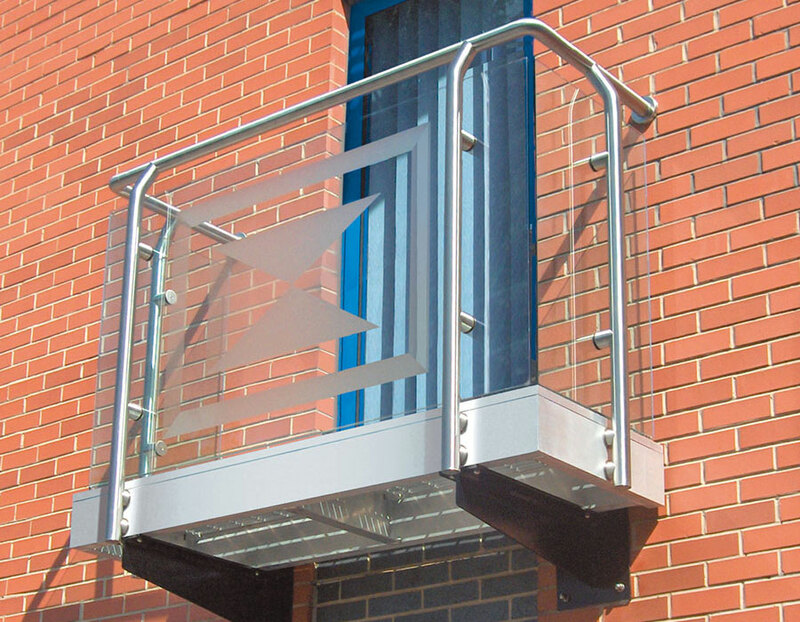 Our Neatdek 188 aluminium grille is ideal for balcony decking. It features concealed drainage gaps below the surface to provide an unrivalled combination of privacy, low maintenance and safety underfoot. Neatdek 188's unique T-bar design appears to be closed but is actually open, completely restricting the view from above and below whilst keeping litter and other items on the surface for easy cleaning. The absence of gaps on the foot contact area also makes it suitable to walk in any type of footwear, including stilettos.